Would the Internet have become the global pillar of communications it is today had Marshall McLuhan not all but predicted it? Doubtless it would have. The iconic Canadian academic and media theorist had nothing to do with conjuring the technologies that now make his global village a virtualized, electronic reality. But his understanding of the effect they would ultimately have on our everyday — and in some cases not-so-everyday — lives have cemented his legacy. 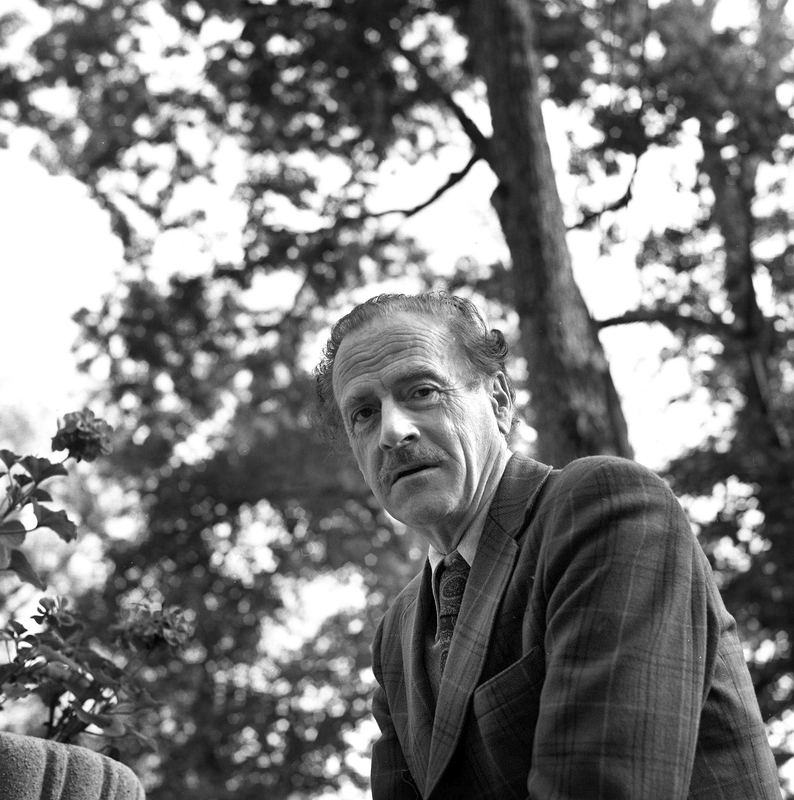 McLuhan would have turned 100 today. Although he died on Dec, 31, 1980, about 15 years before the commercial Internet went mainstream and forever reshaped how we live, work and play, his perspectives on media and its underlying technologies remain some of the most accurate pre-Internet-era predictions of what we ultimately ended up with. It may be easy to look back today and call him a visionary, but during his time he faced equal amounts of criticism and derision for being just contrarian enough to upset the comfy academic world in which he lived. He was unafraid to separate history's influence on the here-and-now from technology's influence on what would come next. In doing so, he traded acceptance during his lifetime away in favour of a longer-term, historical appreciation of his vision. Perhaps his most famous quote, "The medium is the message," is also perhaps his most misunderstood. Was he saying the meaning of what we consumed was exclusively shaped by the means with which it was delivered? McLuhan recognized early on that pervasive new media had the potential to change the way we thought and lived. The medium may have been the message, but it was only an influential starting point. The relentless march of technology couldn't help but drive continuous change in the processes — and impact — of communication, and McLuhan saw it all years ahead of virtually anyone else. It didn't matter what we watched. We were being changed in the process, and the processes by which power was achieved and wielded, by which governments rose and fell, how businesses succeeded and failed, and how we related to each other were being changed as well. A message delivered via a newspaper — an 800-word article, for instance, written in the classic inverted pyramid style — was crafted radically differently than a 90-second package on the evening news. The evolution in delivery methods couldn't help but change the way we consumed the ensuing message. McLuhan never saw YouTube, but the nascent trends he identified in a generation weaned on television remained consistent deeply into today's social media-raised generation as well. Web 2.0 is turning out to be as transformative today as television was half a century ago. Journalism today is often so focused on pursuing the story in the here and now that the meaning of that story is all but forgotten. Internet-borne media have only served to accelerate the process, turning the individual deadline into a never-ending stream of reportage, a constant pressure to get the message out before someone else does. There's a bigger story, but no one's taking the time to appreciate what it means. For all of technology's ability to tell the story, our ensuing myopia now prevents us from putting the story in a broader context. McLuhan's influence peaked during a period that saw broadcast media — and television, in particular — assert irrevocable influence over an audience looking for ways to broaden their horizons. He lived within a communications realm largely one-way, that presented huge barriers to entry to those who lacked the resources to publish or broadcast. The Internet has rewritten the calculus of media, putting greater power into the hands of virtually anyone, giving voice to anyone with a story to tell and a desire to tell it. Yet this pre-Internet thinker saw it all coming. So a century after his birth and, more notably, a generation since his death, we split our days between multiple screens — televisions, computers, tablets and smartphones — and the one-way messaging of the early broadcast era has given way to the decidedly more democratic online world where everyone can be a producer, a reporter or a publisher. And the process of being on either side of the media delivery/consumption curve continues to alter who we are, how we live and how we evolve. Now that much of what McLuhan mused about has largely materialized, it's ironic that all that's missing is the man himself. In the 30 years since his death, no one has emerged to carry his message forward, to lay out how the next wave of technological revolution will rewrite how we live. Maybe icons like him come along only once a century. Maybe today's fractured online world needs another McLuhan to make sense of what comes next.